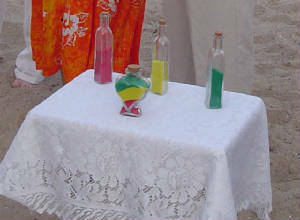 The sand ceremony is as unique as every couple. The colors you choose can express how you see yourselves, match your eye colors, or just be coordinated with your color scheme. 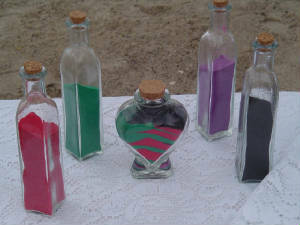 Many couples want to include family and what better way to do so than by giving each person their own color of sand. Including children into your ceremony is so simple and such a special reminder that they are important and truly a part of the marriage. 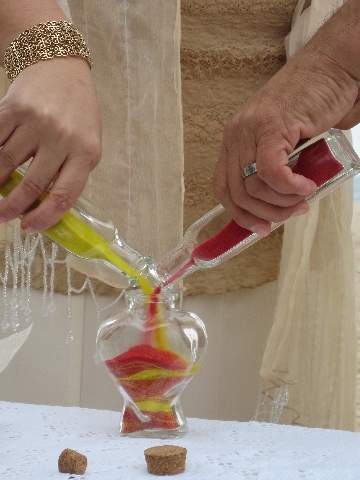 Each child can have his or her own color to represent how your family will truly be blended. 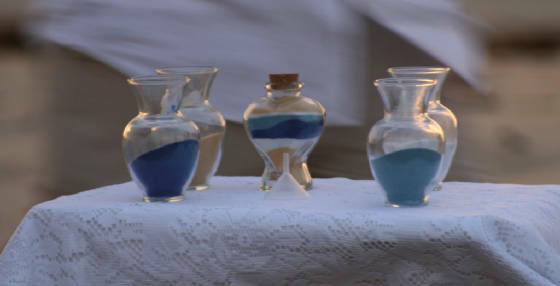 No matter what the situation, the results are always spectacular and each time you look at your heart shaped vase, with the colors of your family, you'll be reminded of how happy you were on this special day. For a list of colors available, please scroll down to bottom of page. imagine blending the two colors that represent you best. blending your family has never been easier, just choose a color per family member. 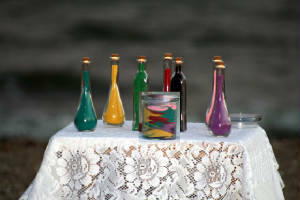 you can have as many colors as will work with your family. (top row l to r) White, Dark Blue, Light Lavendar, Dark Purple, Pink, Dark Green, and Orange. 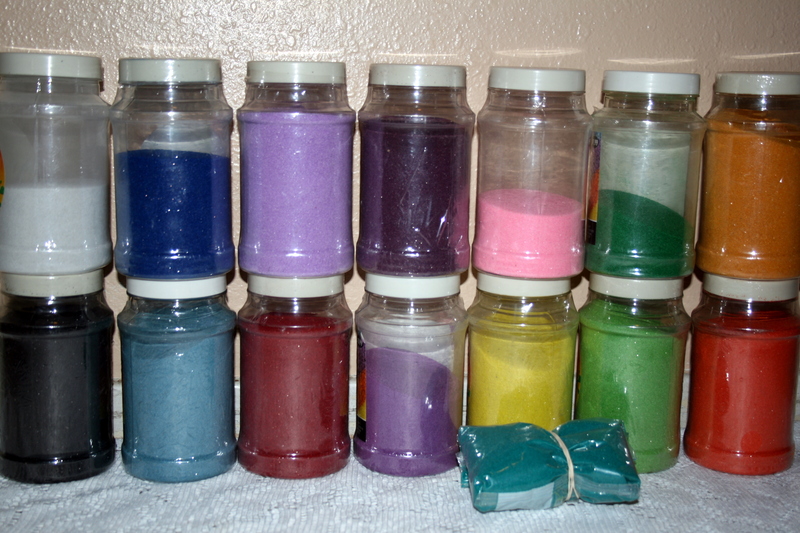 (bottom row l to r) Black, Light Blue, Burgandy, Dark Lavendar, Yellow, Light Green, Burnt Orange and teal (in bag).